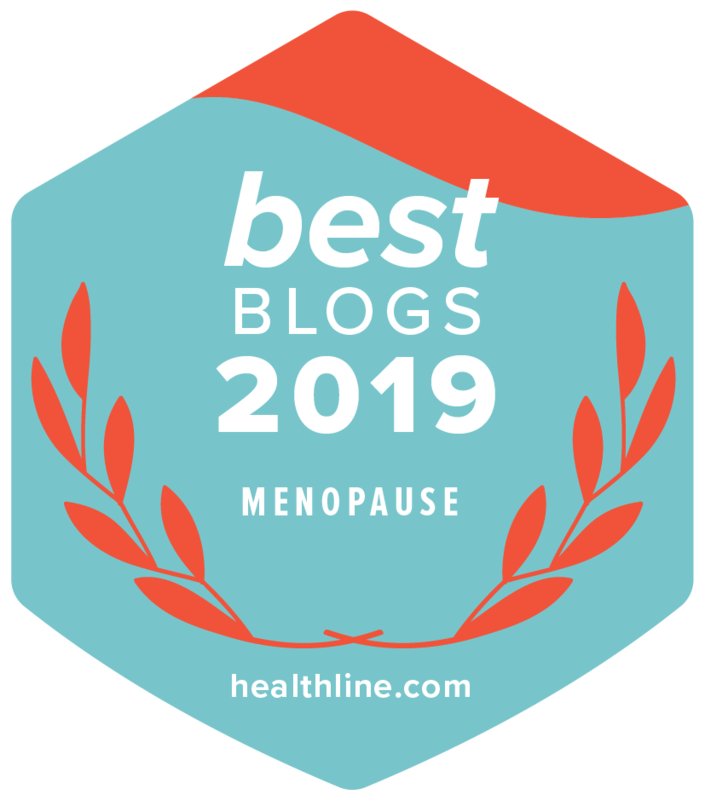 This is a guest post by Cheretta A. Clerkley, strategic marketing health care professional for Hormone Health Network for over 10 years. Throughout her years, she has focused on direct patient education in the area of hormones and menopause. Menopause, one of life’s major transitions for women, is no longer a hush-hush topic. Yet similar to so many biological matters, it isn’t a subject made for dinner party discussion. However, navigating this life passage is easier if you can laugh about its discomforts with friends who have also experienced brain fog headaches, hot flashes, irregular periods, insomnia and other difficulties caused by diminishing production of the hormone estrogen. Menopause is a process and also the specific point in midlife when the end of fertility is marked by 12 consecutive months without menstruation. On average, women reach menopause sometime in their early 50s. Although a natural life change and not an illness, menopause often feels like a roller coaster ride. This is especially true in social situations, such as work, when you aren’t physically active but break out into a sudden sweat caused by a hot flash. These may begin during perimenopause (the years of premenopause), which generally starts in your 40s. As Healthline notes, researchers don’t know exactly why hot flashes occur, but they partly appear to be due to the brain detecting “too much body heat” caused by decreased estrogen. A night sweat is the body’s cooling strategy. It’s easier to stay positive during menopause if you make healthy choices including eating well, exercising regularly and finding time to laugh and relax. Seeking support is also a good idea whether from a group of friends or an online menopause community, such as Red Hot Mamas. According to WebMD, soy products, such as tofu and soy milk, may help limit hot flashes because they contain isoflavones, which somewhat mimic human estrogen. It’s important to note, however, that for those who have thyroid problems — the symptoms often are confused with those of menopause — you need to limit soy consumption. Isoflavones can interfere with thyroid medications. As to foods that can have a negative impact during menopause, WebMD particularly recommends avoiding ones that seem to be a trigger for hot flashes. These include alcohol, spicy foods and drinks containing caffeine, such as coffee and sodas. When cutting back or completely removing caffeine from your diet, keep in mind that it’s not only the caffeine in coffee that may increase hot flashes but also the heat of the drink. Exercise is good for the head as well as the body. While strengthening your circulatory system, muscles and bones, it also slows down your mind and can help you stay calm. Exercise should be regular and combine both weight-bearing and aerobic activities. Many forms of exercise, such as walking and dancing are great options to consider. It’s also valuable to make time for stretching, working on flexibility and balance, escaping the day’s worries and being meditative. Yoga and gardening are two activities that meet these needs. Perhaps you have seen the T-shirt that proclaims “Menopause” in large letters over a subhead saying “I’m still hot.” During menopause, humor helps. As Huffington Post blogger Carol E. Wyer writes, laughter “produces mood-enhancing hormones” and may reduce menopause symptoms by relieving stress. Wyer’s comments on Twitter (“Body is up but brain is having a lie-in. #MondayMorning) show how she uses humor to stay positive. However, the best laughter may be found in the moments you swap stories of menopause travails with friends or unexpectedly empathetic strangers. Wyer collected a gem one day while fanning her face in a department store, which caused a sales clerk to recount a dinner with friends during which the clerk accidentally tore off her blouse while trying to discreetly remove her sweater when overcome by a sweat. Talk about a dinner party discussion! One can only hope the friends did their best to help her stay positive and regain composure. Nevertheless, it demonstrates what a hot topic menopause can be.